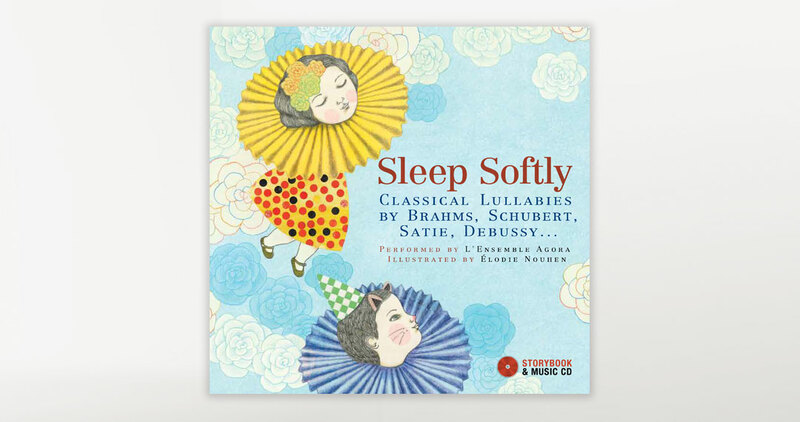 Exquisite pieces by the world’s more revered composers like Schubert, Debussy, Ravel, Offenbach, Satie and Brahms will lull babies into sweet, blissful sleep. 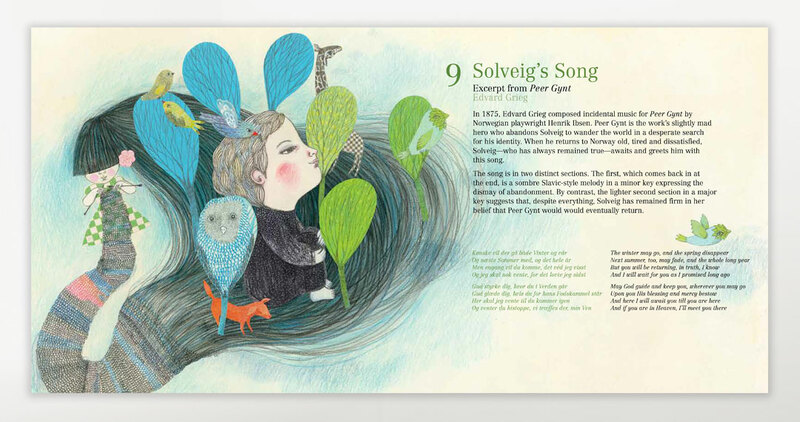 Whimsical illustrations add to the otherworldly feel of this book that also offers a brief commentary on each featured work. Critically acclaimed French quintet L’Ensemble Agora bring to life each piece with woodwind and harp performances. Ensemble Agora is a wind sextet known for piecing together classical music with either art, writing, illustration, or acting to create an “alternative” concert experience. They have partnered with ensembles such as Opéra Comique, Opéra de Lyon, Epau F estival and Fontevraud. Catherine Puertolas (flute), Hélène Mourot (oboe), Sandrine Cavalier (clarinet), Cédric Laggia (bassoon), David Pastor (horn), Sophie Bellanger (harp) make up this unforgettable group of musicians that came together in 1998. 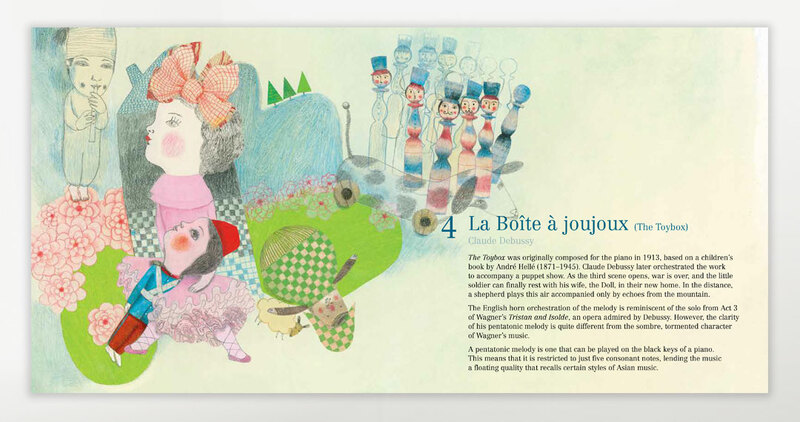 Elodie Nouhen honed her creative talent at the Ecole Supérieure d’arts graphiques Penninghen in Paris. 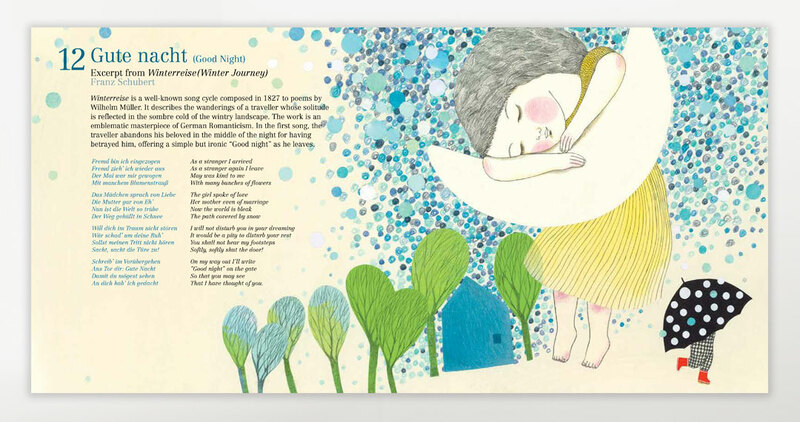 She has worked for many years as an illustrator having published over 30 children’s books in France.